What on earth are . . . youtiao? It has been some time that I uploaded a ‘What on earth . . .’ post, so here is a new one. Youtiao literally means ‘oily stick’. That does not sound very appetizing, which would be inappropriate for a traditional food that virtually every Chinese likes. A rather long English rendition I have come across is ‘deep-fried bread stick’. This is more like a description than a translation. If I remember correctly, I have also once read ‘fritter’ as the translation for youtiao somewhere. That is certainly a convenient one, but our fritters are incomparable with youtiao. In line with the philosophy of this blog, let’s not translate this word then and get used to youtiao, as my regular readers should be used to mantou by now (in case you have forgotten this term, look it up using the convenient search function of this site). Youtiao are deep-fried twists of dough. They are almost exclusively a breakfast food and are usually eaten with congee or with a bowl of steaming sweetened soy milk. The vendors get started at around 5 am and are still making them way past eleven, for all the late-risers. It’s so commonplace to see someone in pyjamas and flip-flops walking back home with a plastic bag filled with three or four youtiao for the family breakfast. The reason is that youtiao are delicious when then have just left the deep-fryer, but their texture quickly becomes rubbery with the lowering of the temperature. Making them at home is not a real option. It is a waste of oil and the oily fumes are not good for your walls, furniture, your clothes and anything else in your home. Better have a street vendor fry them for you in the open air. Youtiao are fantastic when pulled fresh from the deep-fryer. The foot-long bread can be separated into two side-by-side pieces, with a crisp, almost waffle-like exterior, and a light and chewy interior. Like all fried things, the flavour depends entirely on the quality of oil being used and the freshness. Youtiao are made from yeast dough, rolled flat, then cut into short narrow strips. Each strip is placed on top of a second, then pressed lightly together lengthways to make the join that can later be pulled apart after cooking. The baker then deftly twists and stretches them until they are the right length, and lays them side by side in the deep fryer until they are golden brown and nicely crisp. 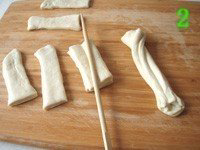 Here is a typical recipe for youtiao dough. As I have reported in several posts on flour-based products, Chinese flour producers have developed specially formulated flours for youtiao. 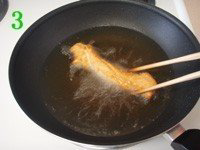 The motivation is not so much to encourage Chinese consumers to make their own youtiao at home, but to stimulate the industrial production of youtiao. The same applies to the development of flour improvers for youtiao. 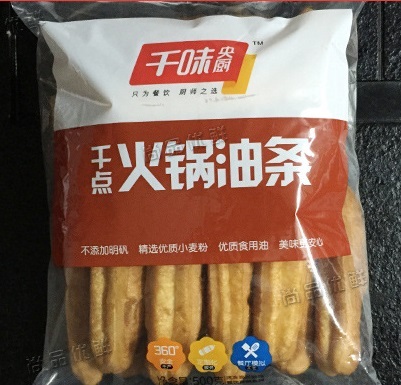 Several producers of flour improvers are offering improvers for youtiao, containing mixes of enzymes, improvers, starch, etc. 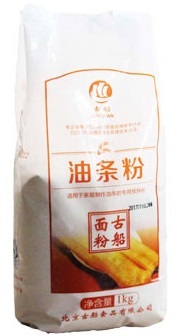 A popular brand of youtiao flour is Beijing-based Guchuan. 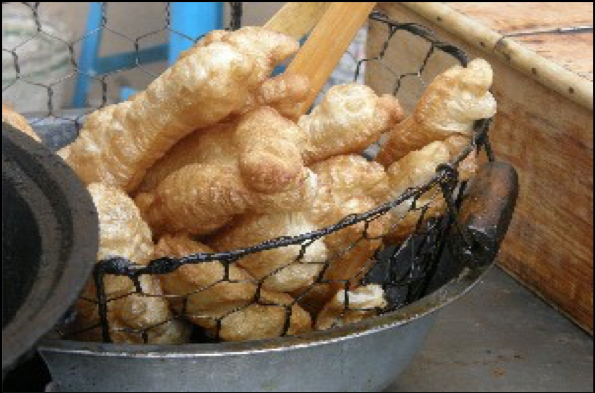 The main challenge for industrial production is to retain the crispy texture of youtiao. Perhaps a workable solution would be a semi-finished youtiao that consumers can buy in their supermarket and heat in an oven or air-fryer. There are several manufacturers of quick frozen classic youtiao. 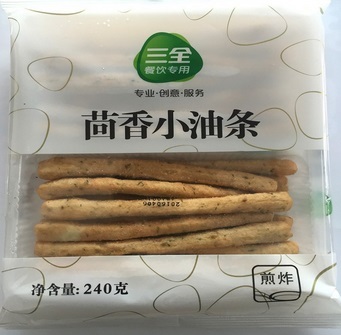 China’s leading producer of traditional snack food Sanquan, has developed a fennel flavoured youtiao. They are somewhat smaller than regular youtiao. 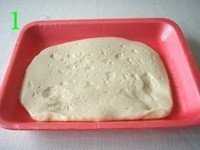 Wheat flour, water, vegetable oil, spring onions, fennel, salt, yeast, spices. Whenever Sanquan comes up with a product, competitor Sinian can’t afford to lag behind. Sinian has launched a small type of youtiao that can be eaten with hot pot, hence the name Hot Pot Youtiao. Flour, vegetable oil, water, salt . . .
That ‘. . .’ is not very nice to the consumers, but I will revert as soon as I have the entire ingredients list. Youtiao are becoming a major growth product. Annual sales have increased from RMB 250 mln in 2015 to more than RMB 1 bln in 2018. 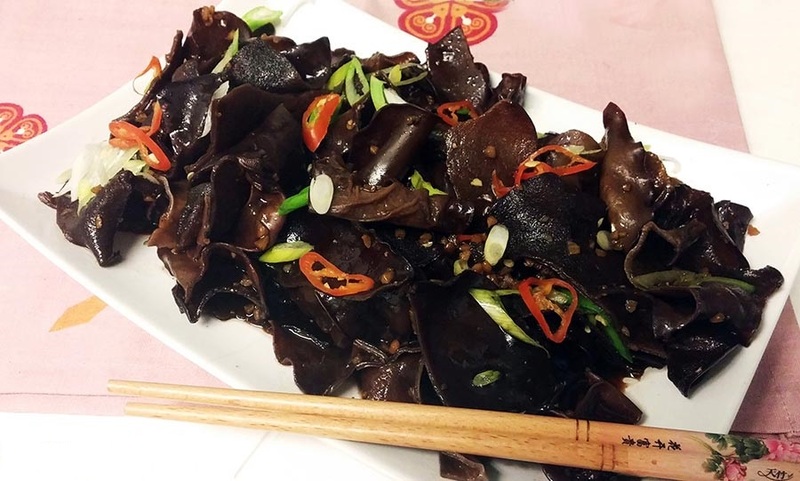 Black food has become a focus in the Chinese health food market in recent years. Black food refers to the natural melanin containing foods, whether derived from animals or plants. The natural melanin content causes a dark, dark purple, or dark brown colour. Some foods have a dark skin, while others are black at the end, inside or outside, such as black goji, black rice, black sesame seeds, black fungus, mushrooms, seaweed, kelp and laver. 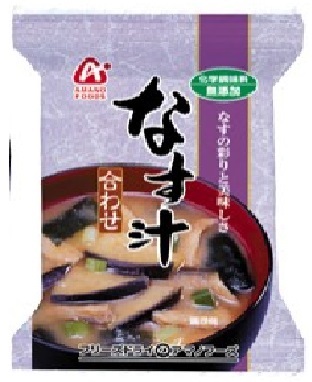 Manufactured black food, such as plum sauce, bean curd, soy sauce, cured egg etc., are meant to stimulate people’s appetite through their colour, but do not count as real black food. The scope of what counts as black food is not strictly defined. The Guangdong Academy of Agricultural Biotechnology is one of the earliest domestic research institutes specialising in black food. It defines black food as having a relatively dark natural colour, rich in nutrition, and structurally acceptable to the human physiology as food. This definition excludes artificially black foods such as soy sauce. Black food: black rice, black beans, turtle, black fungus, black mushrooms; main nutrients: protein, fat, amino acids, vitamins. According to traditional Chinese medicine (TCM), black foods nourish the kidneys. They are rich in anti-oxidants and can therefore prevent several types of cancer and slow down aging. They strengthen the brain and lower blood pressure. The fact that shining black hair has always been regarded as a sign of physical health in China certainly also plays a role in the positive image of black foods in China. 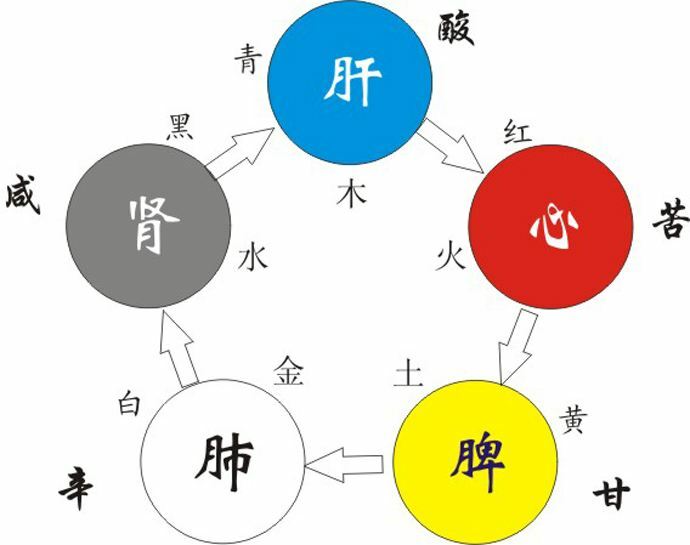 The most conspicuous producers of black foods in China is the Five Black Elements (Heiwulei) Group in Guangxi. 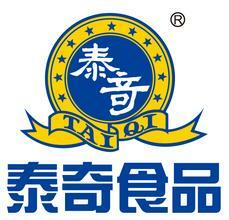 The company was founded in 1984 as the Nanfang Children’s Food Factory by Mr. Wei Qingwen. The name Heiwulei was adopted a decade later. The term itself originates from the Cultural Revolution, denoting five types of bad people (‘black categories’) in society: landlords, rich farmers, counter-revolutionaries, bad elements, rightists. 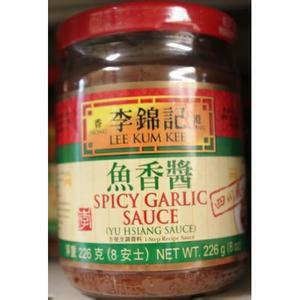 Mr. Wei loved black sesame paste, which was his company’s first product. Now, the company is producing ‘Eight Black Treasures’ (Heibazhen): black rice, black beans, black fungus, black mulberry, black corn, black dates, black sesame and black seaweed (laver). Is China the future for chocolate? The confectionery industry is a sweet line of business by itself, but it can be even sweeter in China, where market potential and a growing confectionery culture is leading to a new bonanza of sweets and chocolates. Chocolate sales in China grew 58% from 2009-2013. They are expected to expand to USD 4.3 billion by 2019, rising nearly 60% from USD 2.7 billion in 2014, lifted by outstanding demand from the growing urban population, Bert Alfonso, president of Hershey International, forecast in a recent webcast at the Consumer Analyst Group of New York conference. China has become such an important market for chocolate suppliers, that Barry Callebaut had chosen Shanghai as the place to introduce its inhouse-developed ruby chocolate to the world in September 2017. Barry has further opened a new Chocolate Academy in Beijing in 2019 – the company’s 22nd globally – to meet demand and better serve the Chinese market. Sales of China’s chocolate and confectionery boomed over the past five years after a handful of Western brands began entering the country in the 1980s. 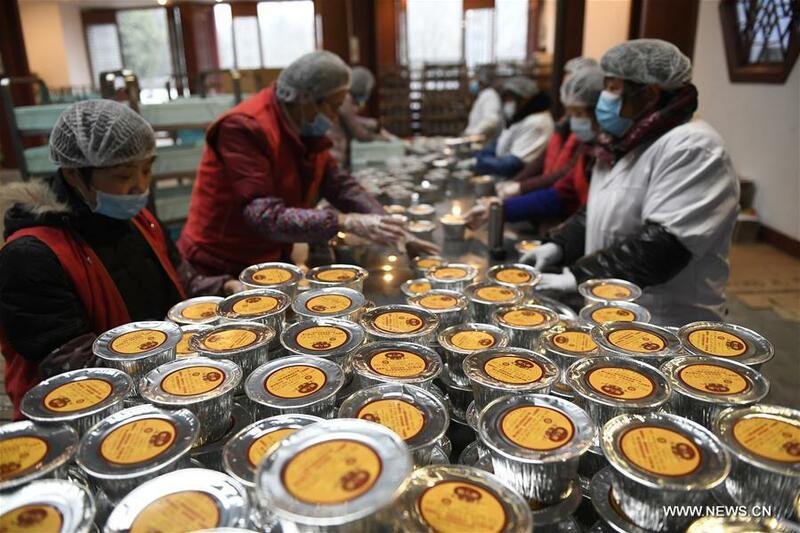 The maturing chocolate culture has prompted Chinese consumers to begin asking for a greater variety of premier products. China’s chocolate consumption is increasing 10% to 15% a year, as living standards rise and there is a growing acceptance of Western lifestyle. So far, the top 20 chocolate makers have already presented themselves in the market. In a common supermarket in Shanghai, you can easily find over 70 brands of chocolate. Most of them are foreign brands. The big four (biggest four companies in China chocolate market: Dove, Ferrero, Cadbury and Leconte) have taken over 70% of the market. 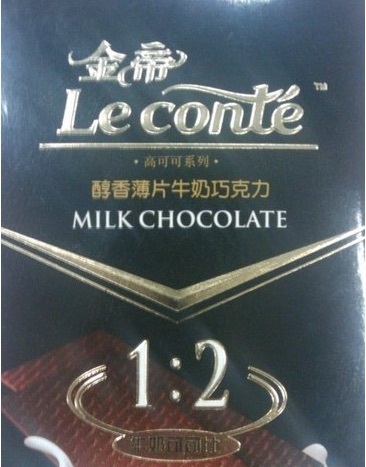 Of these, only Leconte is a local brand (Owned by COFCO, possibly Nestlé’s main international challenger). Among the three foreign brands, Dove alone has taken one-third of the market. Dove has charmed Chinese consumers by its special taste. Secondly, Dove chocolate has nice packaging with a neat wrap which leaves a deep impression of delicious and good quality in the consumers’ mind. In addition, Dove always produces new products with special packaging which propose meaningful designs. Chinese consumers care about the packaging of a product, because chocolate is also a good choice to buy as a present. How the chocolate appearance has been the most vital factor for the purchasing decision as a gift. Foreign players go into lengths to ensure the quality of their products on the Chinese market. E.g., Hershey’s indicates on its packaging that it uses 100% imported milk. China’s current per capita chocolate consumption is very low at about 100 grams a person, compared with more than 10 kilograms in Europe. Even in Japan and South Korea, the figure is close to 2 kg. However, by 2016, 340 million Chinese will be middle class – more than the population of Western Europe – creating a huge market. Greater purchasing power – and the growth of large foreign retail chains – will boost consumption. This leaves plenty of room for business growth in China. 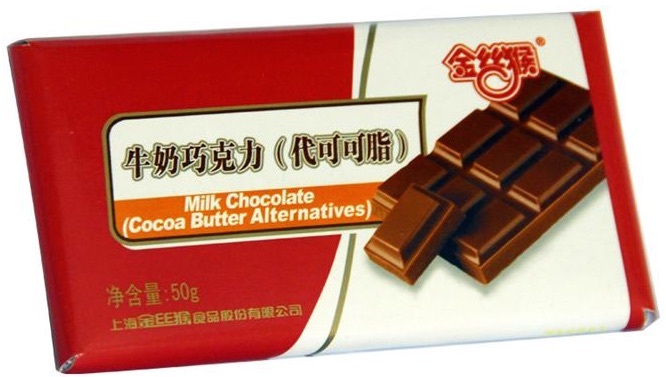 Milk chocolate is still the favourite flavour with Chinese consumers. However, in some developed regions of China, such as in the east, sophisticated customers are more likely to choose dark chocolate as it has an image of being healthier. This flavor’s share of retail value has more than quadrupled in five years to 34% in 2013. Of all the chocolate fillings, nuts are the most popular. What are the factors to getting Chinese people buying chocolate ? A report shows that the No.1 factor Chinese consumers consider is the taste (30%), following by brand (18%) and price (7%). It’s true that in China, taste is the most important factor, but compared to western consumers, Chinese consumers don’t care about the taste nearly as much. A report shows 66% western consumers put taste as the most important factor, while only 30% of Chinese consumers think it’s the top factor. When chocolate came to China’s market, it was branded as an exotic food product which is an added extra value. And now the brand has become even more important. First of all, a big part of imported chocolates purchased in China are for gifts or ceremonial use like wedding candy. For young Chinese men, chocolates, especially luxurious delicately packed chocolates have become a must to show their love to their girlfriends. During the Chinese Valentines’ Day this year, half of the top 10 items sold online were chocolates. That’s why imported chocolates are sold as high class food product. Apart from their fancy look, imported chocolates also enjoys a fame of high class ingredients. With the growing concern for health and food safety, consumers are becoming more careful about the ingredients of chocolates and imported chocolate are trusted for containing more coco or milk. When chocolate first appeared in China, the price for a box of imported chocolates was sky-high. 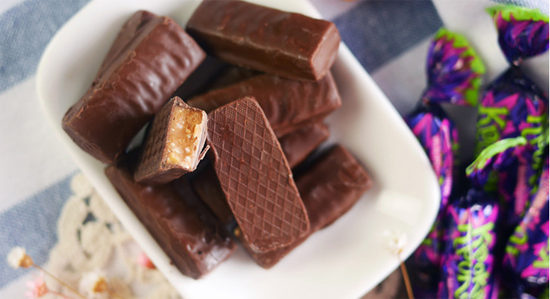 Today, chocolate has become a common food product that most people can afford. But some chocolate brands are still famous for their high price such as Ferrero because Ferrero targets on high class chocolate market where price is an important tool to show its value. A Chinese consumer can easily find reasons to buy a box of imported chocolate for its taste, brand and price. And what chocolate makers need to do is to produce nice chocolate, promote its brand and label with a suitable price. Local competitors are still finding it hard to set up a premier brand recognition among Chinese consumers and adopted cheaper compounds to secure price competitiveness. LeConte holds 6.7% market share and another local company, Golden Monkey (Shanghai), with 1.5% market, was acquired by Hershey in 2015 (after acquiring an 80% stake in the previous year). 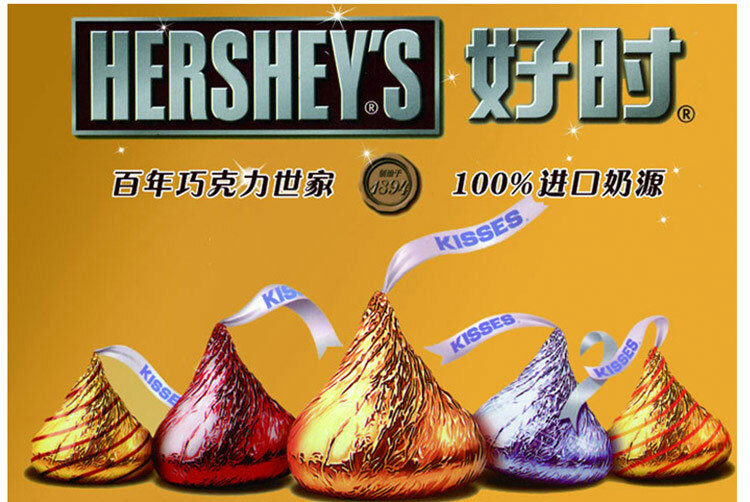 However, Hershey sold the Chinese subsidiary again in July 2018 to a local party Yuxiang Food Technology (Henan), a company co-founded by Xizang Cangying (literally: Tibet Goshawk) Investment Management Company and Henan-based Youshi Foods, which has become one of the biggest bakeries in central China. LeConte milk chocolate: sugar, cocoa butter, whole milk powder, cocoa mass, skimmed milk powder, lactose, food additives (soybean lecithin, food flavour), cocoa butter 35% min., cocoa solids 40% min., milk solids 26% min. The cocoa beans are imported from Ecuador. Golden Monkey milk chocolate (cocoa butter alternatives):sugar, hydrogenated vegetable oil, cocoa powder, milk powder, whey powder, salt, food additives (lecithin, polyglycerol ricinoleic acid ester), food flavour. On the other hand, the higher prices of global players also scare away Chinese customers, who do not have the purchasing power of their Western counterparts. There is still room for growth in second-tier cities dominated by these lower-end products. This applies particularly to China’s vast rural population. The challenge for domestic players is to develop affordable chocolate products that apply to the various local tastes and habits. 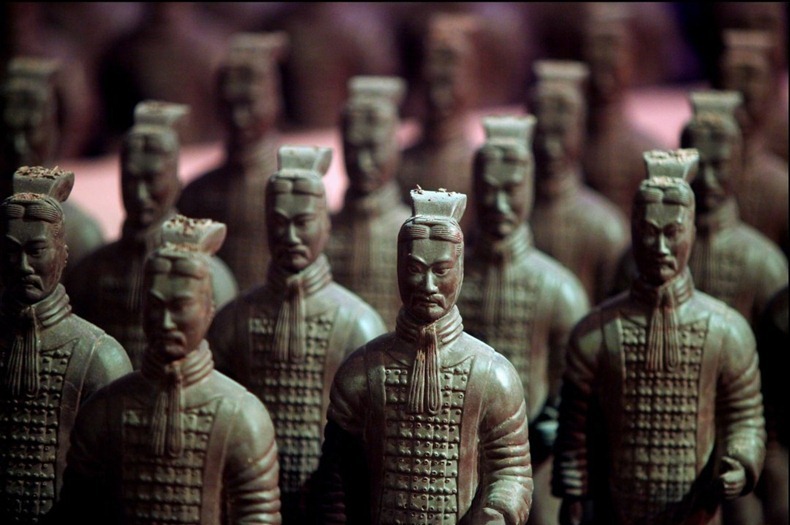 Perhaps foreign tourists can be charmed into buying chocolate replicas of the famous terra cotta soldiers from Xi’an. Chinese imports of foods and beverages from Russia have been rising during the past few years and chocolate is one of the favourite categories. One Russian chocolate, Krokant, chocolate filled with toffee crunch, is hard on the way to become the most popular chocolate in China. Chinese refer to it as ‘Purple Candy’ due to its purple wrapper. 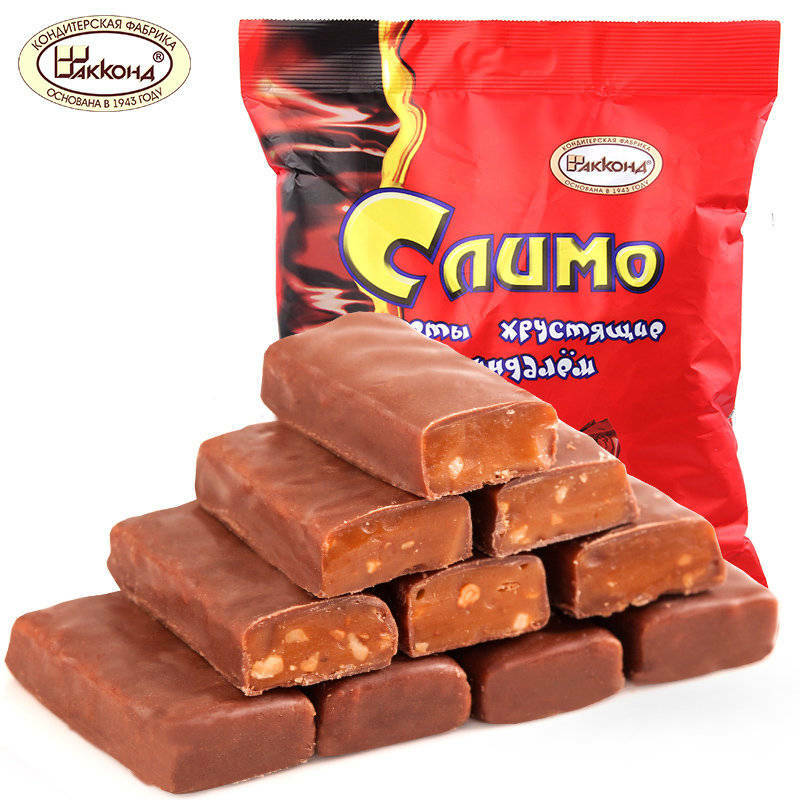 Similar Russian products are also available. Eurasia Consult’s database of the Chinese food industry includes 123 producers of chocolate products. Babao Porridge (Babaozhou, Babaofan), a sweet rice porridge stuffed with dates, lotus seeds and other fruits, is an extremely interesting example of a traditional product revived by industrial production. The concept of babao is used in more traditional foods, e.g. zongzi, filled steamed rice cubes wrapped in leaves, which are introduced in a separate post of this blog. Present day Babao Porridge is derived from a southern type of porridge called Laba Porridge. La refers to the La month, the last month of the lunar calendar and ba (‘eight’) to the eighth day of that month. On the 8th day of the lunar 12th month people used to prepare a porridge using eight or more ingredients to celebrate the end of the year. Another story explains the custom as a Buddhist tradition. Laba porridge was first cooked as a sacrifice for ancestors and gods during Laba Festival as a part of winter worship. In an agricultural society, the 12th month or layue (腊月) was a time when families consumed some of their stores from the harvest season. Cooking a porridge with rich and varied ingredients is a way to celebrate a prosperous harvest for the year, in hopes of a better one to follow. Just like Christmas overtaking the ancient Roman holiday of Saturnalia, when Buddhism arrived in China, it stamped its own influence on this local tradition. For Buddhists, Laba Festival is also Buddha’s Enlightenment Day. The legend says that Shakyamuni, after 6 years of seeking enlightenment by living frugally, once sat down under a tree, dead tired. A woman herding cows saw him and prepared a simple porridge for him using course cereals and wild fruits. Shakyamuni was so revived from eating a bowl of that porridge, that he immediately gained enlightenment. From that day on, Buddhist Temples prepared a similar type of porridge on the 8th of each 12th month. With the increasing pace of life, modern Chinese are less and less willing to spend several hours a day in the kitchen. This includes less frequently prepared foods like Babao Porridge. The basic production process is easy enough. The raw materials are mixed and cooked, cooled and then packed in cans, similar to those used to pack soft drinks. In this way, the porridge can be easily consumed as a convenient food, while travelling, as a snack during office work, etc. A plastic spoon is usually attached to the can, so the traveller does need to pack a metal spoon from the kitchen either. Buddhist monestaries have to abide by the law as well, so more and more temples are producing laba porridge in a semi-industrialised clean way, to ensure that the faithful do not have to pay dearly for enjoying a bowl of laba porridge with food poisening. On the way, it earns the monestary a lot more income as well. The most essential aspect of the production of Babao Porridge is the combination of emulsifiers and thickeners. Babao Porridge consists of a viscous liquid part and solid parts. Manufacturers need to formulate the product in such a way, that the solid parts are more or less evenly distributed over the liquid part upon opening of the can. A number of Chinese manufacturers of emulsifiers and thickeners supply products specially formulated for Babao Porridge. Some sources propagate CMC as the most appropriate thickener for this application. A combination of CMC and a low calorie high intensity sweetener to replace the sugar will not only provide an authentic mouthfeel, but also decrease the caloric value. Industrial recipes for so called ‘low calorie Babao Porridge,’ proposed by manufacturers of ingredients use sticky rice as the macro-ingredient, where part of the rice can be replaced with pumpkin. Various combinations of fruits (dates are most popular) and nuts (including peanuts) are added. Frequently suggested micro-ingredients and additives: pumpkin powder, xylitol, oligoxylose, CMC, konjac powder, and EDTA. As a result of all the recent food safety problems, Chinese consumers have become more aware of ingredients and started asking if one food really needs so different ingredients. A recent article (24/9/2014) criticises the use of xanthan in one brand of Babao Porridge. Xanthan is known in the porridge industry under the nickname zhoubao, literally: ‘porridge treasure’. The reporter believes it is a means to hide the lack of skills of the manufacturer to produce a proper porridge. 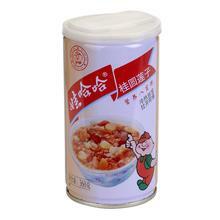 The Yinlu Food Group was established in Xiamen (Fujian) in 1985 as producer of canned food and beverages. It is still one of China’s top producers of protein drinks. It now operates production units in Shandong, Hubei, Anhui and Sichuan. Nestlé has recently acquired a controlling stake in Yinlu. Wahaha has launched another type of nutritious Babao Porridge mid 2018, under the Qingzhi brand. Based in Guangzhou (Guangdong), Qinqi was the first in China to launch Babao porridge in cans, which created the market for ready to drink Babao porridge. 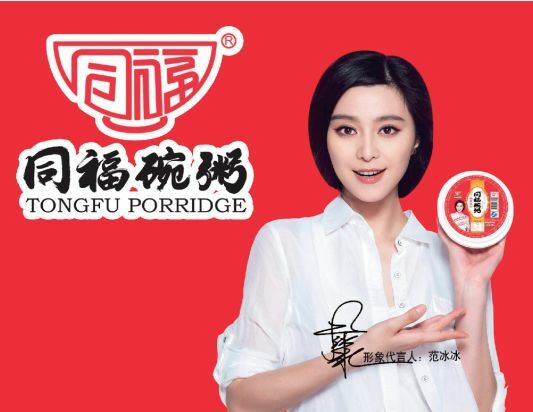 Although no longer the number one brand, Qinqi still bears the honorary name ‘porridge king’. 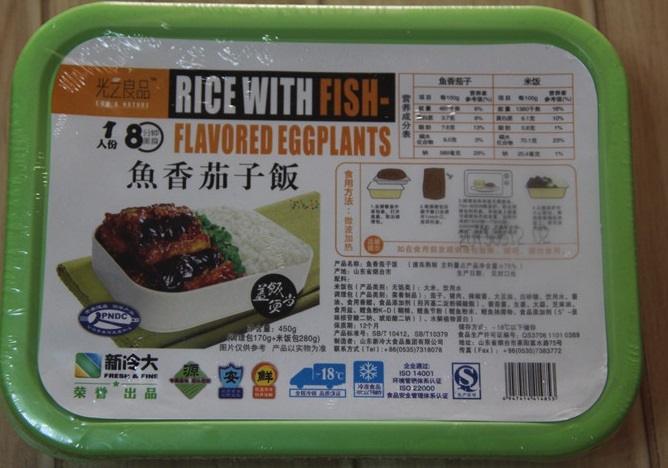 This brand is owned by the Xinxin Food Group, established in Yangzhou (Jiangsu) in 1991, by a local factory and a Taiwan investor. It produces a range of convenience foods, including Babao porridge. Eurasia Consult’s database 30 producers of Babao Porridge. Eurasia Consult knows the Chinese food industry since 1985. Follow us on Twitter.